Systec's Belt-Over-Roller (BOR) conveyor is an independent conveyor line and is a very reliable and durable conveyor. Typical applications for a BOR conveyor could include; a die-cut stacker for indexing loads discharged, or prior to the strapping or banding operation. 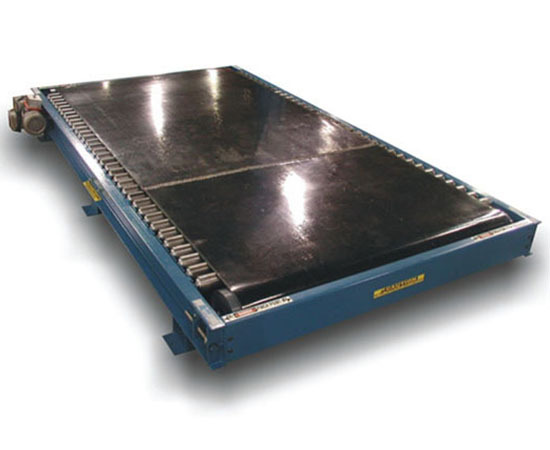 At these locations, operators can walk on the conveyor's smooth, solid surface. With this conveyor, the concern of an accident is dramatically diminished.